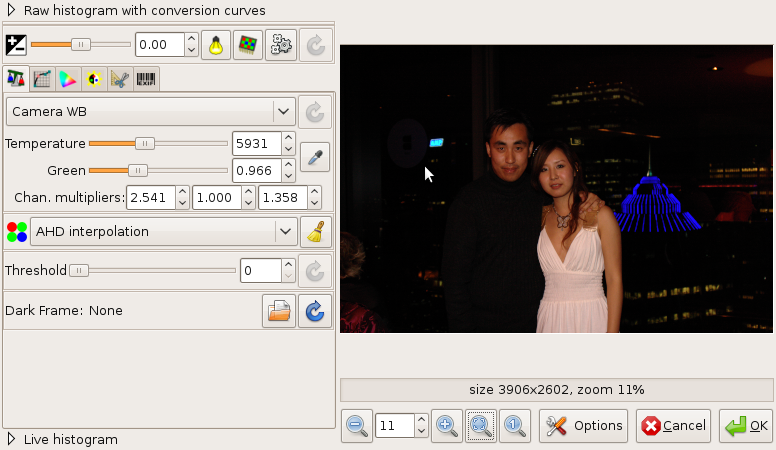 Or more correctly, how to open Canon CR2 Raw Files for editing in Ubuntu using GIMP. F-Spot the default image viewer in Ubuntu already allows you to open Canon CR2 Raw images for viewing. Now wasn’t that easy? 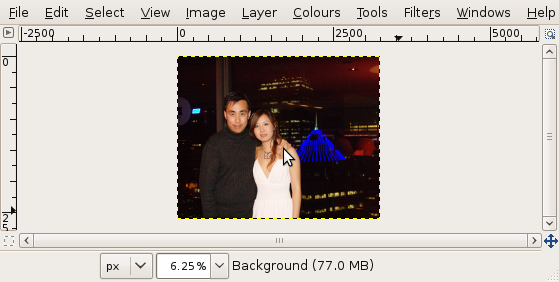 Now all you need to do is simply right click on any .CR2 file, Select Open With > Open With “Gimp Image Editor” and GIMP UFRaw dialog should appear like below. I had to collapse some of the options to make the dialog appear on my small laptop (800 vertical pixel) screen, so if you can’t see the “OK” button don’t fret and resize the window. There are a few options you can tweak with before you need to click “OK” as shown below. This post is dedicated to Andy Au! Thanks for the information! Very useful. You are awesome. Thanks for the simple, yet very useful information. Exactly what I needed. Many thanks for this very useful tip. I got started with Ubuntu 9.04 only two days ago and still I’m a complete newbie, but the more I use it the more I love it. Especially he Gim amazes me. 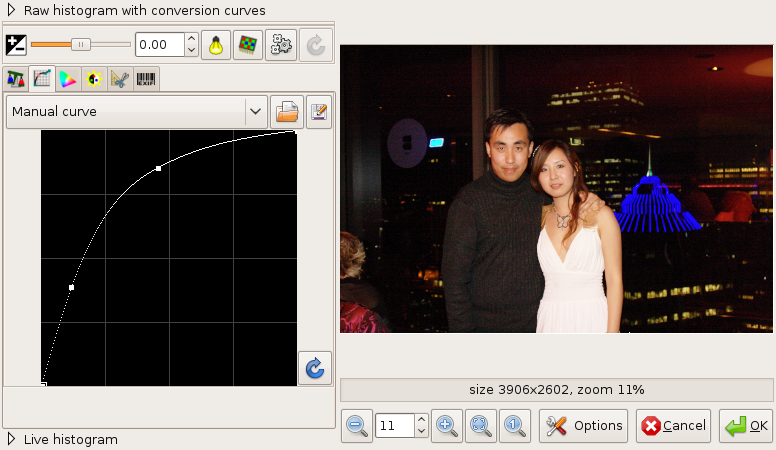 What a great piece of software it is, and the best f all is that it’s free. Why is that inspite of doing this on a Core 2 Quad machine with 8GB RAM, it still takes a couple of mins when changing temperature / green settings ? Thank you! 😀 Now I can edit my photos! Hurrah! Hej hello – one question – I hope that blog isn’t expired yet ? I have a Ubuntu 10.04 and I tried it with gimp and UfRaw but with my very new EOS 550D CR2’s it doesn’t work 🙁 can anyone help me PLEASEEE !!! You may need to download UFRaw from Source and compile it, I had to do that too on a brand new camera. The repository version of UFRaw may not be up to date. hej thanks for your reply – I’m not that kind of geek 😉 can you tell me how or are there any tutorials for compiling ? 12.04 copy of ubuntu – just fixed an old laptop. I can’t even see the cr2 thumbnails in explorer. Anyhow, this still works. Thanks!